YANGON, February 5, 2014 – Myanmar Citizen’s Bank (MCB), one of the licensed private bank in Myanmar and 2C2P Pte Ltd (2C2P), a leading provider of innovative payment solutions in Asia- Pacific, officially launch the complete POS solution for merchants in Myanmar to accept major international payment cards (Visa and MasterCard). 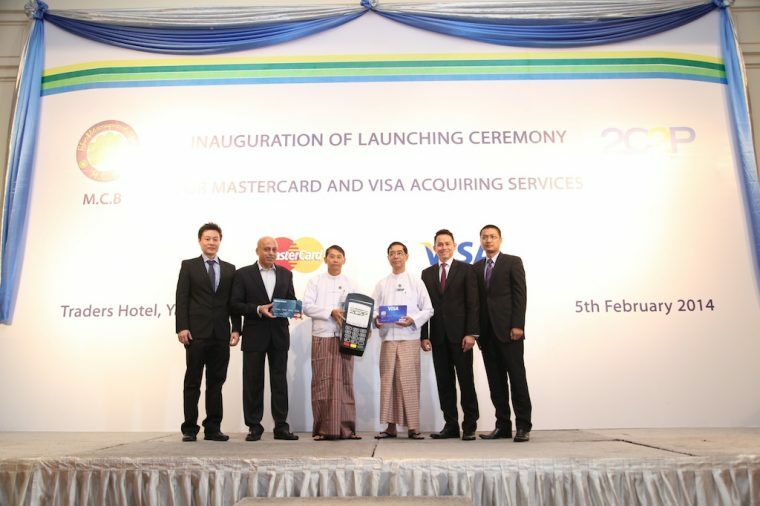 The new service includes comprehensive payment processing capabilities for Visa and MasterCard cards coupling with three key unique features considered to be the first of its kind in Myanmar. Standard Level 1) payment platform. PCIDSS Level 1 is the highest security standard recognition set by the payment industry.